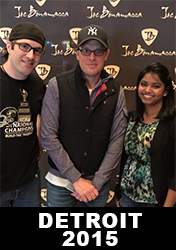 Joe Bonamassa Forum → Joe's Guitars, Amps and Gear → Sweet Home Alabama...Key? Here's one for the musicians out there...even Joe. I was on another forum today, and they have a huge 20 plus page thread/battle going about this song. The big fight is about what key is this song in...D or G? Apparently, Ed King said the solo came to him in a dream the night before recording it, and he played the whole thing thru in one take. Then the producer (Al Cooper-a schooled musician) wanted him to do it over again, because he said he played it in the wrong key (G instead of D). The rest of the band looked at him like he was crazy (I think this is one of the iconic solos in rock, almost a song unto itself). Apparently, it drove Al crazy and he even took the song to Mike Bloomfield to get his opinion. So pretty much, all the theory guys say that the song is in D, and all of the feel, play by ear types (like Ed), say the song is in G.
My main question that came out of this thread is maybe not necessarily what key is the song...but...what does the song resolve to (that may be the same thing? )...G or D.
To me, my ear tells me the song resolves to G, (and I would play Gmaj pent to get that country type sound like Ed). PS. I've never played this song in any band I've been in, but if I had to play it, I think it would be fun to get it exact. I was a music major but I play by ear so maybe that makes me an "expert" from both angles...either way, the song's in D. 1, flat 7, 4 is the main progression and it resolves to the D. If you try and resolve to the G, it has that "4 chord" feel to my ears. I guess it's that F# in the D maj. pent. scale that does it for me. The G maj. pentatonic works too but they are definitely walking through that F# in places (which is the 3 in the key of D). It's the natural 7 in the key of G which doesn't make near as much sense. Anyhow, that's how I've always thought of it. If there was more to the song, this probably wouldn't even be an issue but since some people hear 5, 4, 1...and some (like me) hear 1, b7, 4...it makes for some debate. I'm sure others could put it more eloquently than I did! I have always believed that song to be in the key of D.
I would say D as well. I think Ocean pretty much hit it right on the head (great way of explaining it by the way!). I really think the thing that throws alot of people is "watching" others play the solo. The first solo I see most people stay anchored around the twelth fret which people "see" as G major, but in a over simplified way of seeing things, that first solo is just comprised of chord tones that dances around the progression (ala Dickey Betts, Santana, Neal Schon). Like I said over simplified but a very cool melodic solo that living in Jacksonville, FL I have heard way to many times. Interesting topic. I agree with all of you so far as to say the song is amiguish in it's tonality. Looking at the chords D, C and G one thinks right away of the key of G doing a V IV I patteren. As Ocean said, you could look at it in D as a I bVII IV progession. It easily resolves to G when the F C G accents hit during the second verse. It also resolves to D.
Anyway. It's fun that such a simple chord progession opens up some many options. It's almost as much fun as vamping over an alt7th for an extended period. Then you can really go outside. Oh yea! Well, I finally got around to playing it a little today (instead of just thinking about how it sounds), and there is no doubt to my ears that it resolves to a D. But...that Gmaj pentatonic played over it is how it sounds most like the recorded solo (last one). No doubt there's a million possibilities if you want to improvise. I watched an old live youtube video with Skynyrd playing it (with Ronnie but without Ed), and the solo sounded like cr@p. Nothing like the original, and not near as good. I recently saw the new Skynyrd on the HDnet channel in concert, and the new guys get the solo pretty much perfect. beer + random crowds = sweet home alabama requests. oh- that and freebird. UM: Mixolydian starts on the V right? D mixolydian is a G scale, right? D mixolydian is a D scale that happens to share the same key sig. as G major. D is the V of G as BJJ quite correctly points out. The reason I'm callin this tune Dmix. is because clearly these chords belong to the G major family;however,D is the home base of the song so what does it all mean? It means that its a great tune in Dmix. Another thing I can't agree with is all this talk of resolving or resolution. In order for something to resolve you need some tension, I don't hear any tension being built up in the chords D-C-G. It feels more like a seesaw with C being the hindge between two safe harbors D+G. Also don't forget that modes have a I chord a II chord and so on that are based on thier key signatures ergo Sweet Home Alabama = I-VII-IV, in Dmix. A song can't be in 'D Mixolydian', that's just how you would solo over it playing around the tonic. As ken accurately summed it up, the song is in D. D is the tonal center. But because of the b7 you would use D Mixolydian (since Mixolydian is the only mode with just a b7) and counting backwards to the I chord you would use G Ionian, A Dorian, B Phrygian, C Lydian, E, Aeolian, and F# Locrian to solo over it, which is why you say solo in G just to make it simple. I disagree. A piece of music (that includes songs) can certainley be written either intentionally or unintentionally in any mode you like. I think of it in D Major. In this key, you hear the soloists play D major pentatonic and sometimes D minor Pentatonic. When you hear the frequent use of the G Major (Eminor) pentatonic in the song, the notes of this scale (G A B D E) are also in the key of D (the 11th, 5th, 13th, Root and 9th), so they are all diatonic color tones. In the "common practice" era, songs were composed and taught in modalities vs. the neoclassic "key signature". If we look at the chords D7, C and G we have a F# as the only common sharp. 1 sharp is the key signature of G. (or Emin) D7 is the fifth. Mixolydian is the mode. Strictly textbook (sheet music) speaking that is. So... D mixolydian mode is the key signature of G...same notes, different starting and different resolves. Different methods of nomenclature from the history. Churches could take something simple and make a mess out of...oops, never mind. BTW Jack... the tritone I first spoke of (in the other thread) is from 4th to major 7th. Same interval as 3rd to dominant 7th. OOPS on me. I'm enjoying this in some sort of perverse way I have a buddy who would tell you the song is in the key of D seventh...because I know him, that tells me that there's a C chord in it. Everybody else just says "WHAT THE F***???"